Indeterminate. Regular leaf. 70 days. Another gem bred by the amazing Tom Wagner! 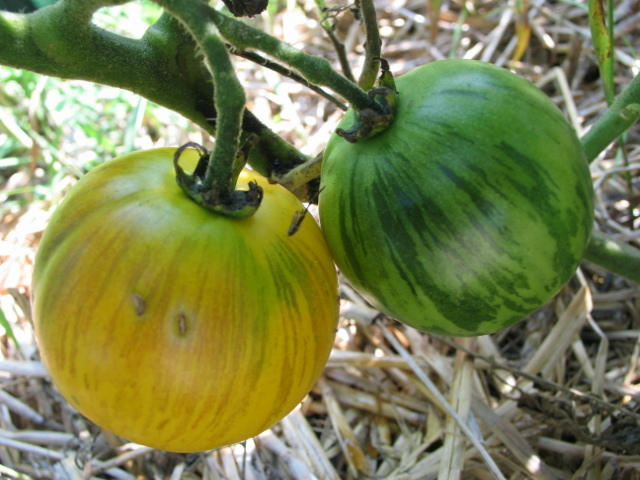 Four to six ounce fruits start out with very dark green stripes that change to deep purple. As the fruits ripen stripes fade to a dusty plum color on top of light yellow. It's like an on going art show in your garden! Very tart and juicy. Also, long keeping.